Tomorrow (Friday 9 October 2009) sees the start of another three day music and message extravaganza, from the very talented folks who brought you The Rings and SL HRF. The Imagine Festival will be spread over three locations, and will feature art installations, gigs and performances, and talks and discussions, anticipating a peaceful, fairer and more sustainable world. One of the highlights will see Yoko Ono join the festival in to unveil a virtual version of Iceland’s Imagine Tower, in an RL/SL linkup with Iceland. But with events round the clock, it should be a great event, whenever you’re able to dip in. A nicely made machinima trailer for Second Life’s Earth Week celebrations. 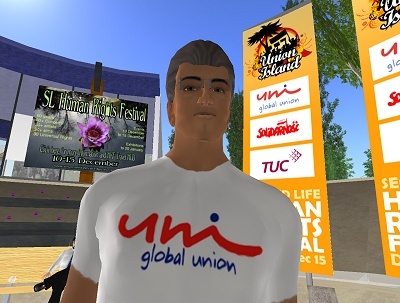 Co-ordinated by a network of SL activists, 18th April to 25th April will see a programme of events, discussions, concerts, happening right across SL and right across timezones, but all aimed at raising awareness of environmental issues amongst Second Life users. Check out the organisers’ site at slearthweek.wordpress.com. 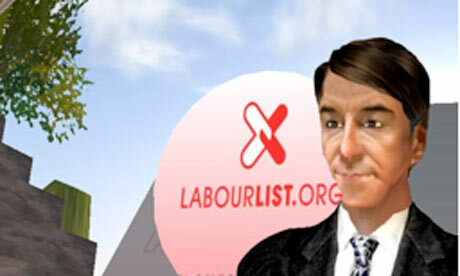 And in the UK, look out for trade and industry minister Peter Mandelson appearing in SL next month, to launch a new group blog and new media strategy for the UK Labour Party. Wonder if he’ll come by Union Island to talk industry policy with us – he’s always very welcome! Thanks to everyone who came to our event for SL’s Human Rights Festival on Monday. We had an ambitious plan to link senior international unionists in Brussels, Geneva and London, and it nearly worked!